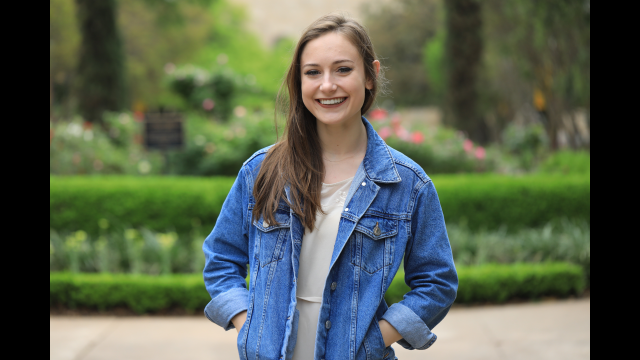 WACO, Texas (April 19, 2018) – Sofia Sonner, a senior biology major from South Pasadena, California, has been selected to receive a prestigious Fulbright English Teaching Assistantship (ETA) to Taiwan. Sonner is among three Fulbright recipients this spring and Baylor’s 54th Fulbright recipient since 2001. A 2014 graduate of South Pasadena High School, she is the daughter of Karen and Richard Sonner of South Pasadena. As the flagship international educational exchange program sponsored by the U.S. government, the Fulbright Program aims to increase mutual understanding between the people of the United States and the people of other countries. Fulbright ETAs are placed in classrooms abroad to provide assistance to local English teachers while also serving as cultural ambassadors for the United States. Beginning this fall, Sonner will serve as a Fulbright ETA in Kinmen, a small island actually closer to mainland China than to mainland Taiwan, an area she chose because of its connection to the Pacific Ocean. Marine biology has been a lifelong passion as she grew up fishing and spending summers at the beach in California. In high school she volunteered for the Aquarium of the Pacific, sharing her knowledge about the marine life on the California coast. Last summer, she participated in a marine biology field school in Oregon and learned more about the Pacific but from a different region of the West Coast. This summer, Sonner plans to take a course in Mandarin to learn as much as she can about the language before leaving for Taiwan. After the Fulbright, she plans to earn a master’s degree in marine biology and continue to study and educate others about the Pacific Ocean. 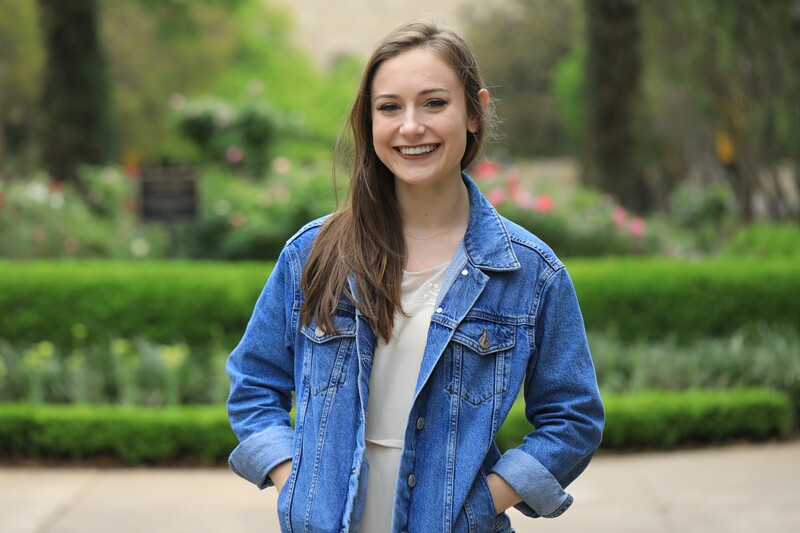 “I was thrilled when I received a scholarship and was drawn to Baylor’s biology program,” she said. Sonner will graduate in May with a bachelor of science degree in biology with an ecology concentration and a minor in French, all accomplished in four years with the support of outstanding faculty mentors, such as French professor Cristian Bratu, biology professors Joseph White and Robert Doyle and Lee Harlan Lowe and Natashia Howard in the Baylor vivarium. “She has a passion for languages and world cultures, which is one of the reasons why she applied for a Fulbright scholarship in Taiwan. I can’t think of a more deserving recipient of this prestigious scholarship and of a better student to represent Baylor and the United States,” Bratu said. Baylor’s biology program offer students the opportunity to learn from a variety of biologists, who study life at the molecular or cellular level or focus on the ecological and environmental questions concerning entire communities and ecosystems. As her faculty mentor, White described Sonner as a purpose-driven student serious about understanding the environmental problems facing the planet today. Sonner is “one of the truly outstanding students” emerging from an academically challenging ecology track within the B.S. degree, Doyle said. Fulbright alumni have become heads of state, judges, ambassadors, cabinet ministers, CEOs, and university presidents, as well as leading journalists, artists, scientists and teachers. They include 59 Nobel Laureates, 82 Pulitzer Prize winners, 71 MacArthur Fellows, 16 Presidential Medal of Freedom recipients and thousands of leaders across the private, public and nonprofit sectors. Since its inception in 1946, more than 380,000 “Fulbrighters” have participated in the Program.